Doctors Christian H. and Evelyn Abels graduated from Palmer College of Chiropractic located in Davenport, Iowa in 1974. Shortly after graduation they moved to Westville, OK to practice with Dr. Christian Cornelius Abels, Dr. Christian H. Abels father. After practicing together for one year Dr. Christian H. Abels founded Abels Chiropractic Centre in Tahlequah, to fill the growing need for natural health care in this area. They raised four children here, three daughters and a son. Their children all attended Tahlequah public schools and Northeastern State University. 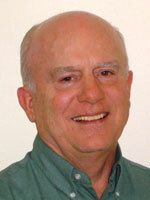 Dr. Abels enjoys spending time with his family especially all the wonderful little grandchildren. Dr. Abels also enjoys a round of golf every now and then and during the winter months he works on stained glass as a hobby. 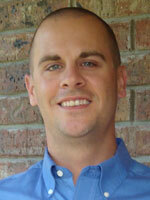 The newest addition to Abels Chiropractic Centre is Dr. Christian R. Abels. During his time at Parker College of Chiropractic in Dallas, courses included biochemistry, a major emphasis on anatomy and human physiology, x-ray, diagnosis, chiropractic adjusting techniques and patient care in the Parker College Public Clinic. After graduating in 2006 Dr. Chris returned to the Tahlequah area and joined his father at Abels Chiropractic Centre making him the third generation to serve the Tahlequah area with Chiropractic care. Dr. Chris enjoys all things outdoors from fishing to golfing to soccer. Dr. Abels and Dr. Chris have made the commitment to serve the people of Tahlequah and all the surrounding areas with Chiropractic care to help them achieve the best health for today and for the years to come.